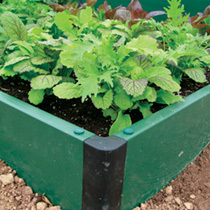 Single Raised Bed Kit - The ideal way to create an easy to manage bed system for growing your own veg. Raised beds are free-draining, easily accessed, early warming and particularly useful to help you get better results on poor soils. The unique Build a Board system consists of rigid double skinned, recycled UPVC boards, plus linking sections and fastening dowels that can be made up into beds of varying sizes and heights to suit your needs. The boards won't fade or rot, and can be easily dismantled and moved if necessary. The double skin construction provides good insulation to help maintain a stable soil temperature. Each board is 1m (39") long x 15cm (6") high. 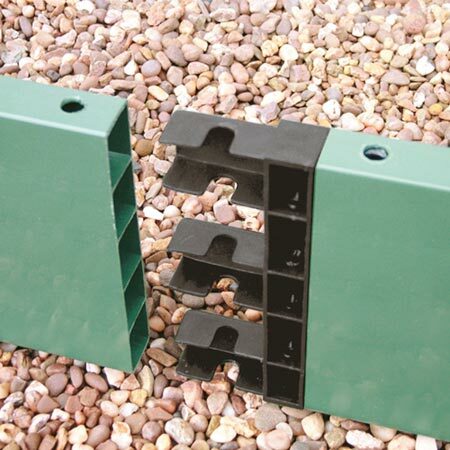 They slot together easily using corner or straight links and securing dowels to peg them to the ground, or join them vertically to form a double height bed. 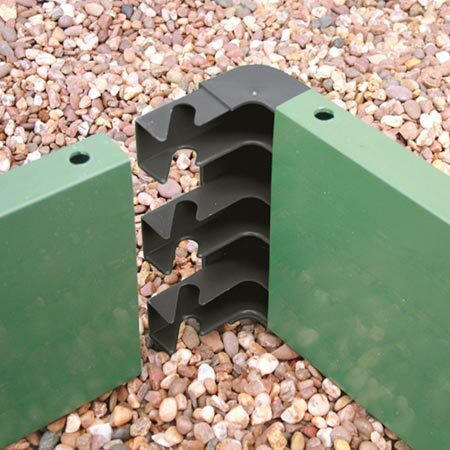 Use as separate 1 metre square beds, or add extension kits to make longer beds. 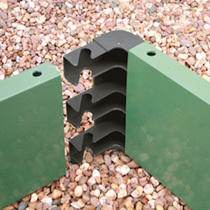 The single raised bed kit comprises 4 boards, 4 corner links, 8 dowels. 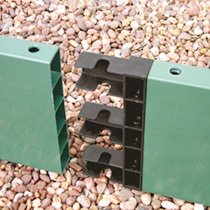 Extension Kit - Why not extend your bed? Kit comprises - 2 boards, 2 straight links and 4 dowels. Create an easy to manage veg bed!